The Meaning of Feathers plays an important role in the belief system of Native American Indians. Their beliefs are based on Animism which embodies the spiritual idea that all natural things within the universe, including birds, have souls or spirits. Animists believe that souls or spirits exist, not only in humans, but also in birds, their feathers and in animals, plants, rocks and natural phenomena. The doctrine of animism is that everything is alive, and possesses an inherent virtue, power and wisdom. The generalised meaning of feathers signified honor & connected the owner with the Creator and the bird the feathers came from. 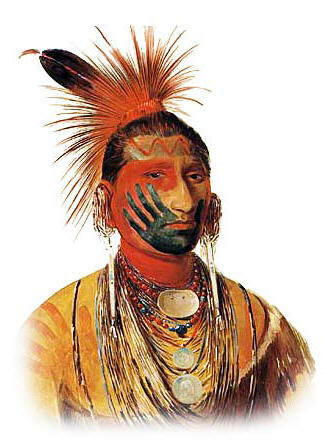 Native Indian warriors were awarded a feather when they took coup or were particularly brave in battle. When a feather falls to earth, the Native Americans believe it carries all of the energy of its former attachment on a bird to a living being. Feathers are perceived as gifts from the sky, the sea and the trees. Feathers arrive unexpectedly, but not without purpose. Birds were revered as bringers of messages and symbols of change and often symbolised light-hearted freedom and their feathers have many spiritual, ceremonial & ritual uses. Decorated feathers were sometimes attached to sacred pipes or prayer sticks. In the ancient culture and traditions of Native Americans the meaning of feathers are inextricably tied to the belief that birds, as spirit guides, walk through different stages of life with a person, teaching and guiding them, and in some instances protecting them. The meaning of birds and their feathers are of great significance as they are believed to possess supernatural powers that can embody, attach and influence a person empowering them with the powerful traits, attributes and characteristics of the bird. The following list describes the meanings of feathers providing information of the significance of each bird together with its meaning, attributes, characteristics and symbolism.